Aging is a time dependent degenerative process that ultimately leads to death. It was Harman who first suggested that free radicals from oxidative processes in the cell were at the root of the aging process (Ref. 7). And it was Harman again (Ref. 8) who suggested that it was the mitochondria, the small particles within the cell responsible for producing energy that were at the receiving end of oxidative damage and determined how long our “biological clock” would tick. In other words the mitochondria determined how old we would turn. Suzanne Somers’ work (Ref. 1 and 2) has done a lot to focus attention to this gentle and yet powerful method of resetting the clock with bioidentical hormones. In Germany and Europe Dr. Rimkus, a gynecologist (now retired), has published about the use of natural estradiol and natural progesterone to restore the hormone balance of the body in both women and men (see Ref.3 and 4). Cliff Richard, the British rock star is one of the prominent people who watches his eats and lifestyle preserving his youthfulness for longer. In middle aged men and women there may not be a hormone dysbalance, but we should not assume anything as in this day and age our environment and nutrition are so poor or even toxic that our hormones can be out of balance. This can be determined by blood tests. Dr. Rimkus examined a group of middle aged women who felt well and also a group of middle aged men to determine what their normal hormone ranges would be. From this he developed normal hormone ranges for both women and men (see table below, which is in Standard International Units or SI units, the ones used in Europe). For North American residents where traditionally the Conventional Units have been used, the following table has been converted. Those familiar with bioidentical hormone replacement will think that these levels are lower than many labs report with regard to youthful hormone ranges. But Dr. Lee points out in his books (Ref.6) that there is no point to push too high with hormone replacement. He also is against forcing women who have been menopausal to get periods again. On page 83 of Ref. 6 he stated: “There is no reason for postmenopausal women to have periods. Menstruating past the age of menopause is not going to make you look or feel younger, nor will it slow the aging process.” To complicate the issue, Dr. Lee points out in Ref. 6 that there is good evidence that blood tests do not reflect tissue levels as accurately as saliva tests do. The normal levels for saliva tests have their own normal ranges, (thanks to www.johnleemd.com for this link), which are lower than the ones listed above. As far as I know Dr. Rimkus was the first to find that estrogen and progesterone in combination can be used for men as hormone replacement treatment, just that the doses are about 3 to 4 times less than for women (Ref.3 and 4). 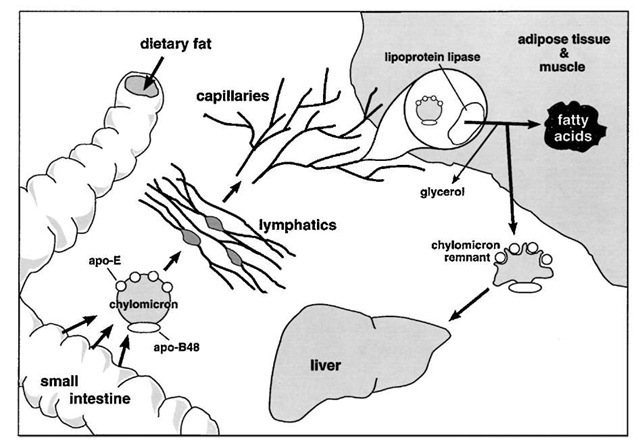 He also found that capsules with estrogen and progesterone in olive oil are well absorbed through the gut and lymphatic channels (see below). Small amounts of zinc gluconate (35mg) and copper gluconate (0.05mg) are added to the capsules to stimulate enzyme activity (for conversion of progesterone into other essential hormones, namely testosterone, cortisol and aldosterone). He calls this the “Rimkus capsule” and this is taken twice per day with an individually prescribed amount of estrogen/progesterone combination. He suggests repeating the three blood tests indicated in the table above after two months (except that in males testosterone is tested instead of FSH). A normal bioavailable testosterone level is 4.0-16.0 nmol/L , where 10 to 12 is more desirable as a therapeutic goal. The hormone strength is fine tuned based on the follow-up measurements. Initially PSA and bioavailable testosterone levels are determined in men (simple blood tests) and the testosterone test is repeated in intervals every couple of month until the levels are stable. The PSA level initially and yearly thereafter is a precaution to monitor for prostate cancer (not a complication of bio-identical hormone replacement, but good medical practice). Under the influence of estrogen and progesterone the FSH level (follicle stimulating hormone), which is a stimulating hormone from the pituitary gland, will come down to a normal range as indicated in the above table. In a woman the goal is to bring the FSH level back into a range below 30 IU/L, in a man below 15 IU/L. However, the clinical wellbeing of the patient is the more important indicator in judging the progress with regard to bioidentical hormone replacement of a patient. It is important to take accurate baseline hormone tests before any treatment is started. The actual hormone values will tell the treating physician how much natural hormone will be required to achieve a normal hormone balance. For the patient it is also reassuring to know that there is a correlation between having symptoms (when the levels are abnormal) and having feelings of wellbeing (when hormone levels are within the ranges indicated). In this context it is interesting to note that synthetic hormones such as the birth control pill or HRT in menopause will show abnormally low estrogen and progesterone values (Dr. Rimkus, Ref. 3). It seems that the body knows that these artificial hormone products are not identical to the original bioidentical hormones and this would explain all of the dangerous side-effects from commercially available hormone modifications produced by the drug manufacturers such as breast cancer, strokes, heart attacks. Only bioidentical hormones will raise the level of low estrogen, progesterone or testosterone. Here is a useful table where the effects of estradiol and of progesterone in women and men are listed (modified from Ref. 3 and 4). A lack of either estrogen or progesterone will lead to a state where some of these properties are missing. Here is a link showing 45 effects that are known about progesterone (thanks to www.yourlifesource.com for this link). There is a metabolic pathway from cholesterol to the various hormones including the enzymes that need to be present to make this happen. In this context it needs to be pointed out that DHEA can be converted into testosterone or estrogen, but not into progesterone, cortisol or aldosterone. In North America it seems to not yet be generally accepted that men can be estrogen deficient and/or progesterone deficient. Dr. Rimkus has published his experience in treating more than 1000 hormone deficient men for over 10 years with estrogen/progesterone combinations dissolved in olive oil. These capsules at a dosage of between 0.15mg to 0.25mg of natural estradiol mixed with about 50 mg of progesterone twice per day by mouth was the only bioidentical hormone replacement. Because steroid hormones are oil soluble, absorption in the gut bypasses the portal system and chylomicron particles (thanks to what-when-how.com for the image) with oily enclosures leave the gut via lymphatic vessels and enter the blood stream through the main thoracic duct, which joins the left subclavian vein, enters the heart, allows the hormones to circulate through the body and reach all of the estrogen and progesterone receptors before the first liver passage removes the remnants. However, there are now compounding pharmacies in the US also that offer hormones in a form that can enter the body from the gut by biolymphatic absorption bypassing the liver so that the full amount of hormones is available to the organs. According to Dr. Rimkus (Ref. 3 and4) this is the way evolution has made us to accept natural hormones. The only difference is that the hormone glands secrete the hormones via their lymphatic drainage into the lymphatic system and thoracic duct from inside, while the bioidentical hormones from the oily capsules reach the thoracic duct via absorption from the gut. The ultimate proof that absorption was adequate came through research by Dr. Rimkus in the 1990’s when he could demonstrate effective hormone replacement by doing blood levels after replacement therapy with his bioidentical estrogen/progesterone combination capsules. He showed that when therapeutic levels were reached (as shown in the table above), patients felt well. For postmenopausal women the Rimkus capsule would contain between 0.5 mg and 1 mg estradiol and 50 to 100 mg of progesterone. One of these capsules is taken twice per day by the postmenopausal woman, if the baseline blood test indicated a low level and elevated FSH level. Two months after starting this the blood tests are repeated and the dosage may have to be adjusted up or down. In postmenopausal women an interesting progesterone effect was observed: within one year of using the Rimkus capsule the periods subsided, because of what he calls a conversion of estrogen receptors into progesterone receptors within the lining of the uterus (called endometrium). In 20 years of treating women he did not have a single case of ovarian or uterine cancer; treating men for 10 years he did not have any case of prostate cancer with their treatment protocol (keep in mind that these are bioidentical hormones that the body knows, not synthetic hormones). Interestingly, in North America treatment is usually done with DHEA capsules at 25 mg for women and 25-50 mg for men, which is combined with bioidentical hormone creams that are absorbed through the skin (estrogen and/or progesterone creams for women and testosterone cream for men). The end result seems to be the same, a normalization of the hormone system. However, Dr. Rimkus cautions that progesterone levels and estrogen levels in men can be low with this method, which can lead to heart attacks and cancer despite a feeling of wellbeing from testosterone replacement. He states that the physician should test estradiol and progesterone levels in both women and men and replace what is missing. Dr. Ron Rothberg and Dr. Thierry Hertoghe among other speakers at an anti-aging conference (Ref. 9) confirmed that all the major hormones need to be tested by blood tests and or saliva testing and what is missing needs to be replace to allow the body’s hormone balance to return. This way the heart attack and stroke risk returns to very low levels encountered in the mid 30’s. Also, cancer risks are extremely low on bio-identical hormone replacement and disabilities from arthritis are not seen. With continued physical activity the lining of the arteries produces nitric oxide, which keeps the person younger for longer. For several decades physicians thought that testosterone replacement in men would cause prostate cancer. Dr. Morgentaler, a professor of urology at Harvard University, has written a book on this subject (Ref. 5), which explains that low testosterone is killing men through various means (heart attacks, not only prostate cancer, but other cancers as well) and that bioidentical testosterone will eliminate this and can be safely taken for life. This will often eliminate the need for Viagra, as testosterone will restore normal sexual function. The key with any hormone replacement is to measure blood levels from time to time, so that the patient’s level is within the normal range (in this case the bioavailable testosterone level). The reason for higher heart attack rates in men with low testosterone is likely that they are often deficient in progesterone, the precursor of testosterone and may have high estrogen levels from being overweight. With the Rimkus method of hormone replacement the male will automatically make his own testosterone through conversion (thanks to www.dhushara.com for this image) as in indicated in this link. The small amount of added estradiol helps protect the heart as well. Dr. Rimkus calls this the Yin (estradiol) and Yang (progesterone) of natural hormone replacement (Ref. 3 and 4). In North America we are more cautious as with age some of the converting enzymes are no longer working properly, so it is perhaps better to replace the hormones that are deficient directly. Bioidentical hormone replacement for women and men as described above leads to longevity by adding about 10 to 15 years to your life, if started early enough. 7. D. Harman: “Aging: A theory based on free radical and radiation chemistry.” J. Gerontol. 1956; 11: 298-300. 8. D. Harman: “The biological clock: the mitochondria?” J. Am. Geriatr. Soc. 12972; 20: 145-147.